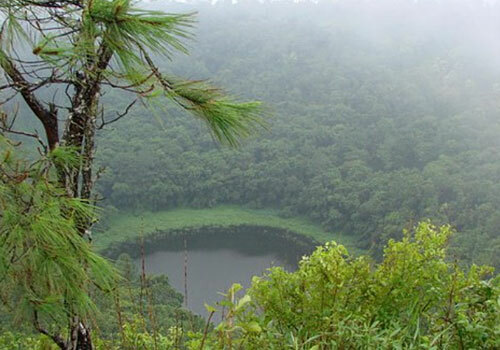 Possibly the main attraction of Curepipe for tourists, apart from the shopping, is the Trou aux Cerfs crater. 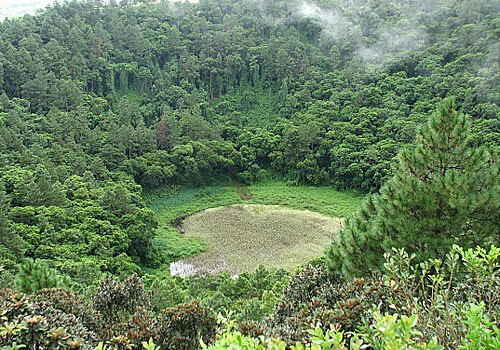 It's been extinct for a long time and the crater floor is now heavily wooded, but the crater affords lovely views around the island. A tarred road leads gently up to and around the rim. There are benches for rest and reflection, and a radar station for keeping an electronic eye on cyclone activity.